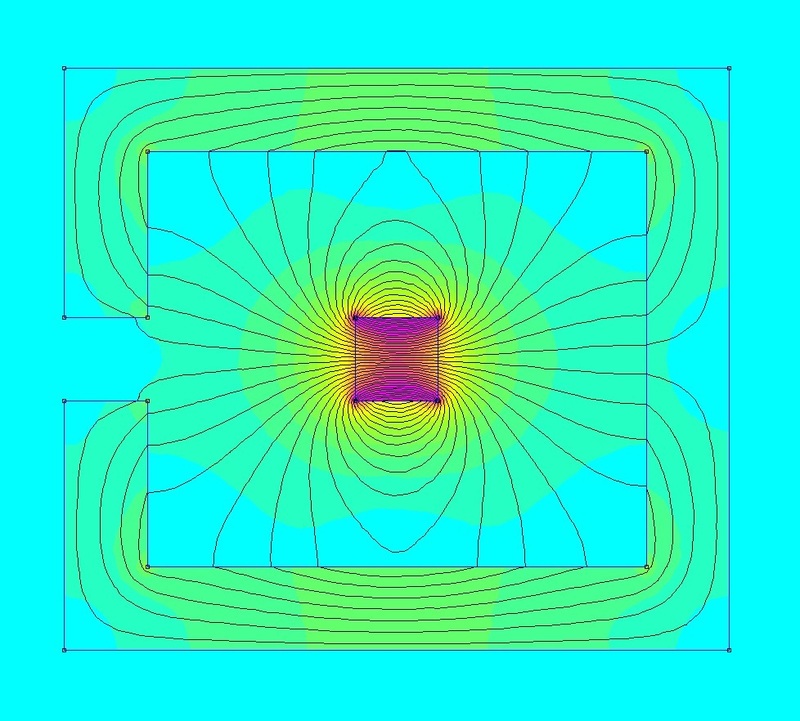 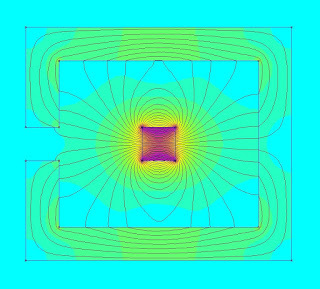 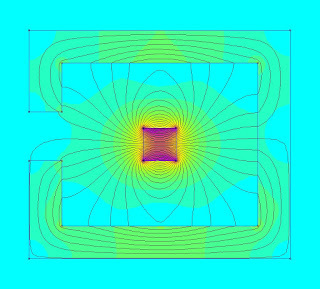 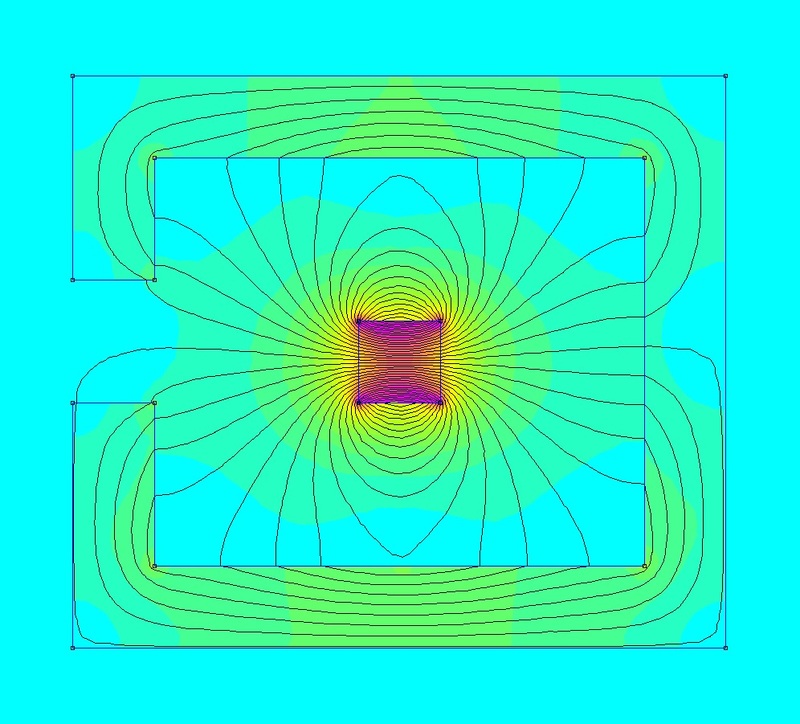 The magnetic simulation showed that the magnetic field induced by the neodymium magnet was totally trapped with no infinite stretching of the magnetic field lines(1.A). 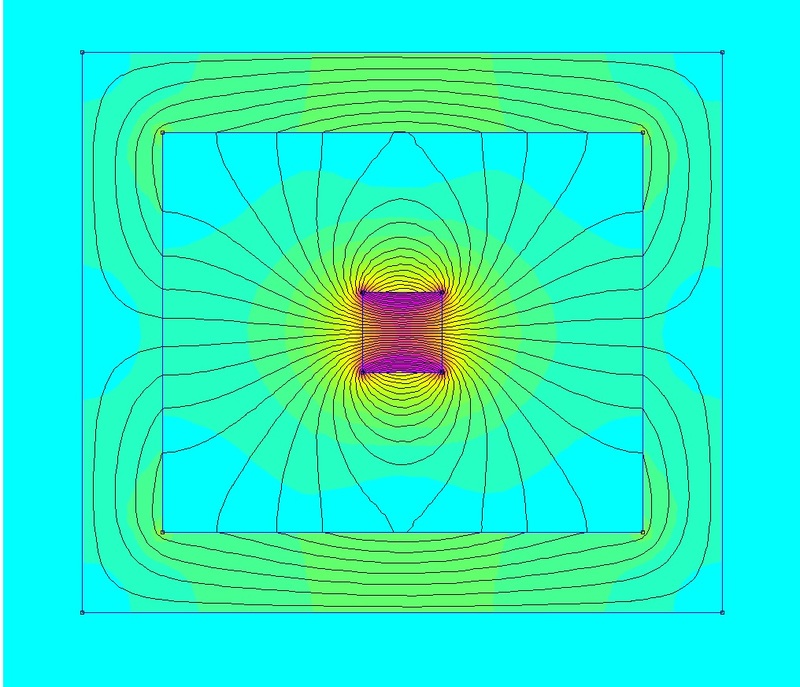 This effect was also observed when the box had a gap of the same size of the magnet(2.A). 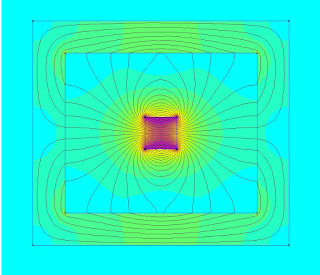 But when the gap had a greater size the magnetic field could escape out of the box(3.A).